To build the brand of Hasbro Studios Entertainment as an entity bigger than its individual programs, we brought to life the special kind of creative inspiration that comes from watching Hasbro Studios entertainment: ImaginHtion. Programs may entertain children, but ImaginHtion changes them. Created with Amy Flanagan and Jeff Dahlberg. ImaginHtion Nation: A Joy Story. We concepted a video installation experience that projects characters on walls in random places around the country. 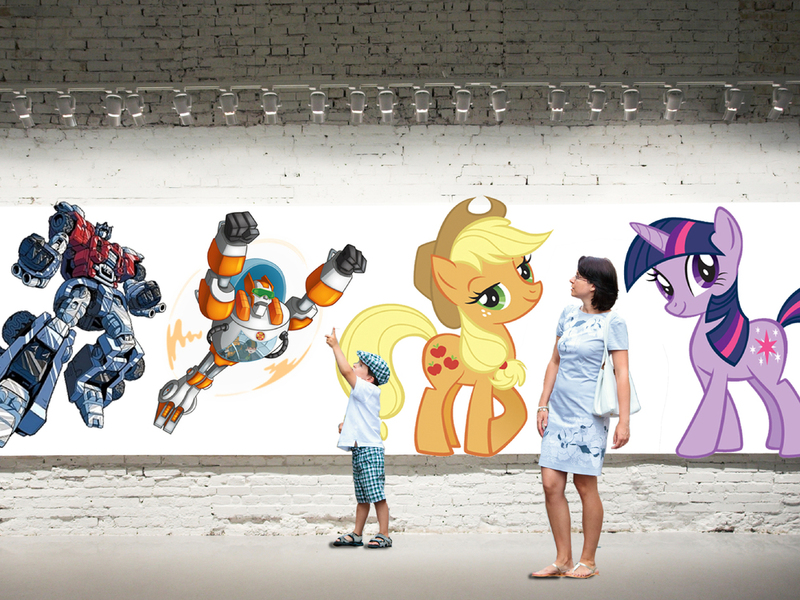 Animated Hasbro characters interact with people walking by. Cameras record these moments for postings on social media. We used Mobile AR to allow kids to use their iPhone or iPad to take photos, record videos or just enjoy the view through their phone’s screen — whi Hasbro Studio characters popping into the scene becoming part of their world. Videos can be shared and posted to social media sites.